Adjustable shelves allow you to create your own space in our 3-Door South Hooksett Left Deck Hutch, which offers a touch controlled lighting system. 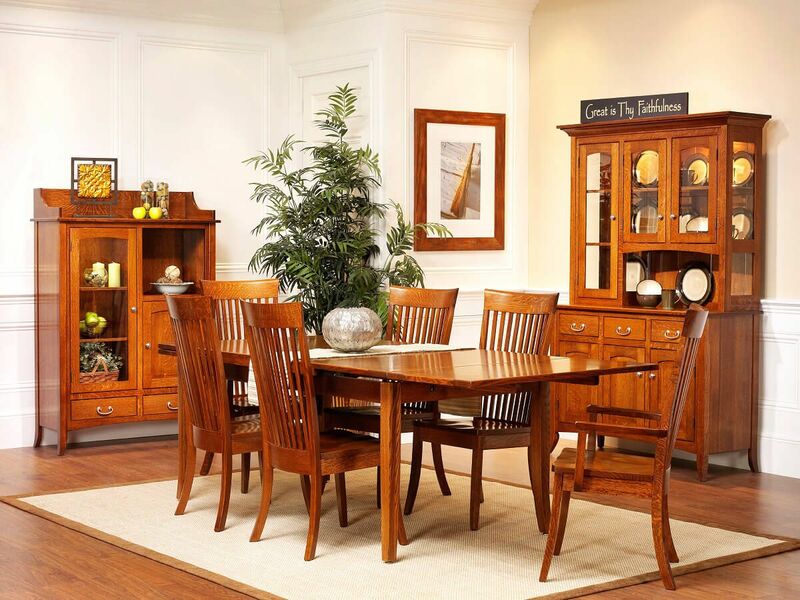 Part of our classic South Hooksett Dining Collection, this piece combines the display space of open deck hutches with the beauty of arched beveled glass doors. 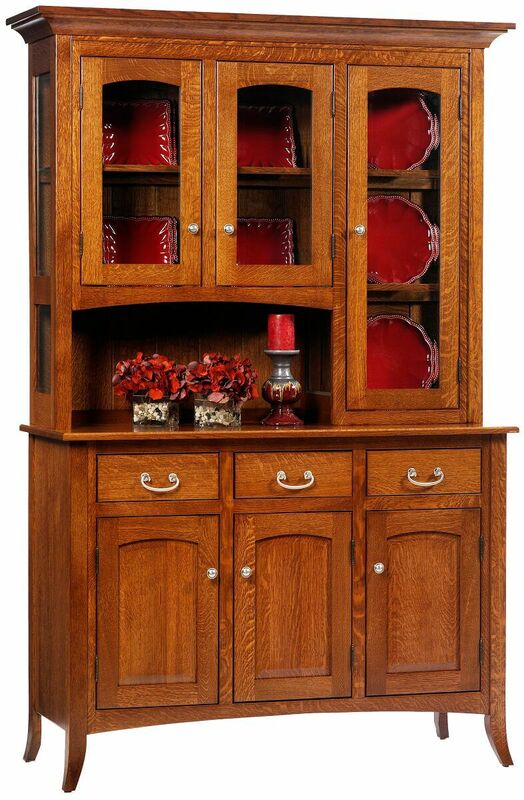 All plate grooved glass shelves are fit with a wood facing, while the buffet cabinets offers hardwood adjustable shelves. Three spacious drawers are dovetailed for durability and operate on full extension, soft close slides. Enjoy a solid wood shiplap back on your South Hooksett Left Deck Hutch. Your South Hooksett Left Deck Hutch can be as simply Shaker in Quartersawn White Oak with a Burnished Honey stain. Or, create an entirely new look by completing our online Create Your Piece menu. Your real wood hutch will crafted in the heart of Amish country and delivered directly to you.